EA Sports is not convinced that 3D-enabled videogames will be the next big thing for 2010. Sony announced at CES this year that 3D gaming would be a big focus for the PlayStation 3's future, even demonstrating some games in action. EA Sports president Peter Moore might not think that 3D games could possibly be unhealthy as Satoru Iwata does, but he did tell GamesIndustry.biz that EA Sports won't be supporting the technology in 2010. Moore acknowledged Sony's push for 3D, saying "From Howard Stringer down, Sony has made it a strategic imperative for the company. And when Sony does something of that nature then we as a company need to sit up and take notice." 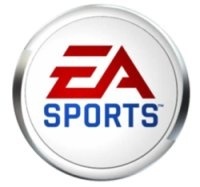 However, EA Sports is taking the "wait and see" approach with 3D, as Moore continues: "But believe me there's nothing going on right now that would say I'm ready to demo a 3D sports game. Nothing at all." The focus for EA's line of top-selling sports games will instead be on the Xbox 360's Project Natal and the PlayStation 3's would-you-just-officially-name-it-already-thing (currently Arc). Moore made it known that key EA Sports franchises would be supporting both motion control systems. "We're getting in sync with Sony's motion controller and Project Natal with what Sony and Microsoft want to do with their publishing partners, so stay tuned for further information on that as we get closer to the date." 3D gaming is still one of those things that still hasn't been proven or disproven yet, apparently even in the eyes of head honchos such as Peter Moore. Demonstrations of LittleBigPlanet and Gran Turismo in 3D have sounded promising, but I tend to agree with Iwata that many people won't want to sit in front of a television with a pair of glasses on to experience the effect. 3D will have to be a pretty big game-changer to matter at all. Now, if Sony wants to implement hologram technology into the PlayStation 3, I'll have no problem with that.